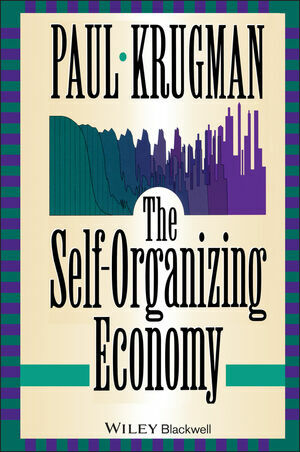 Written in an informal and conversational style, The Self-Organizing Economy shows how models of self-organization, "order from stability", can be applied to economic phenomenon. This concept, which has become increasingly influential in the last few years, can explain the formation of cities and business cycles. The book includes powerful insights of conventional economic analysis and strands from many disciplines, from location theory to biology, to create a surprising new view of how the economy forms structures in space and time. Paul Krugman is a Professor of economics at Stanford University and, according to The Economist "the most creative economist of his generation". In recognition of his research on international trade and finance, in 1991 the American Economic Association gave him its John Bates Clark medal, an award given every two years to the best American economists under 40. He has also written extensively for a broader public; according to the Boston Globe , Krugman "writes more fluently for laymen that anyone else in economics." 1. Rethinking International Trade (collected papers). 2. The Age of Diminished Expectations. 5. Target Zones and Currency Bands. 8. Empirical Studies of Strategic Trade Policy.